I was recently up in New England area for about a week or so working on some projects. This 32′ Intrepid was one of the boats that I installed SeaDek on. The faux teak has become pretty popular lately so we ordered a few different versions of faux teak. This particular version had the holly as the planking with the teak grooves. 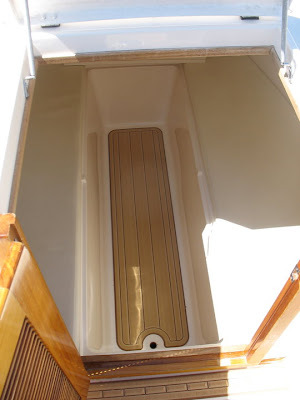 To be honest, I wasn’t really sure how the holly over teak was going to look in the boat, but after the install it was clear that the customer had made the right color choice. 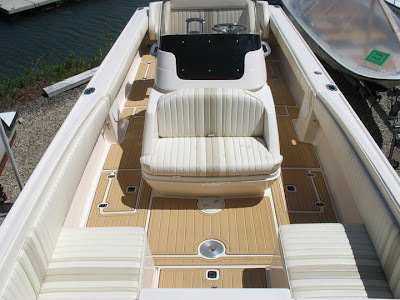 With the engines painted white and tan accents in the coaming bolsters and cushions, the flooring looked great and really tied into the look of the boat. 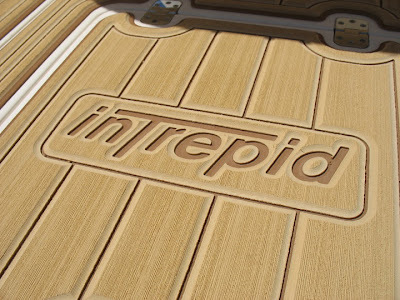 The customer decided to add the Intrepid logo on the pad going to into the cabin and also on a hatch behind the helm of the boat. 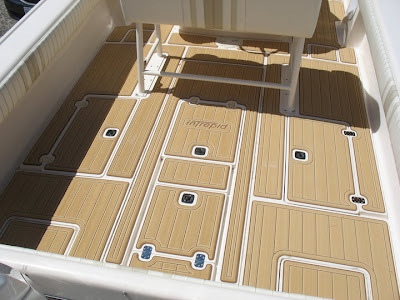 We even did the interior floor of the cabin. This boat is used primarily as a family cruising boat and the non skid had become very slippery over the years so the customer was concerned about his kids slipping and getting hurt. 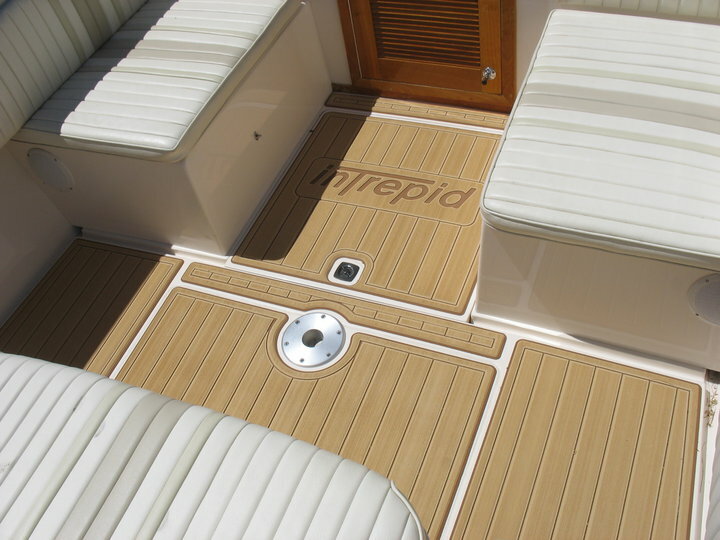 Like all SeaDek products, the faux teak also provides excellent traction and makes for a more safe and enjoyable boating experience. If you are interest in getting some faux teak SeaDek in your boat feel free to call me at 321-537-2039 or email me at tyler@castawaycustoms.com. This entry was posted in Uncategorized and tagged Castaway Customs, faux teak, intrepid, seadek teak. Bookmark the permalink.